MADRID, July 24. /Alexander Shernosvitov for ITAR-TASS/. Air Algerie’s passenger plane has crashed in the Republic of Niger, Algerian TV reports. There were 116 people on board. According to preliminary reports, 80 of them were citizens of France. 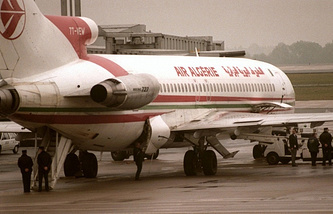 Earlier it was reported that Air Algerie lost communication with one of its flights en route from the Burkina Faso capital Ouagadougou to Algeria’s capital, the city of Algiers. According to the air carrier, air traffic control services have lost connection with the plane 50 minutes after it departed from Ouagadougou. Spanish air carrier Swiftair reported that all the crewmembers of the missing plane — two pilots and four flight attendants — were citizens of Spain. 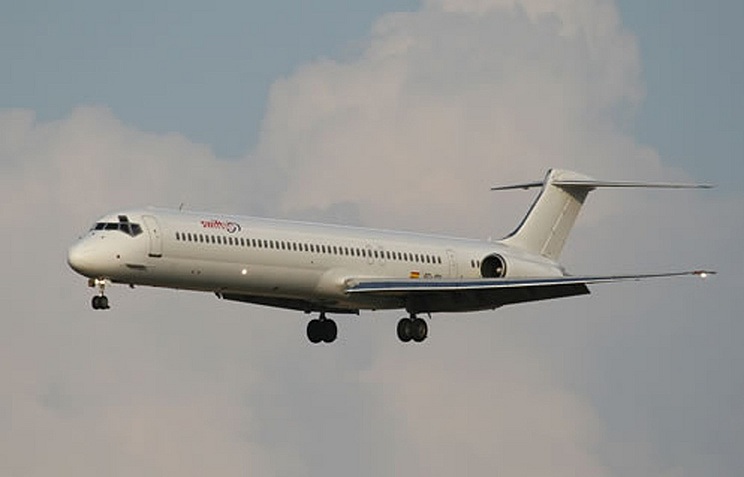 McDonnell Douglas MD-80 jet belonged to Swiftair, but was operated by Air Algerie. A source in Air Algerie told AFP news agency that the “plane was near the border of Algeria, when its crew was asked to change the route due to poor visibility to avoid the risk of colliding with another flight en route from Algiers to Bamako”. The connection with the plane was lost after it changed the route. French Junior Minister of Transport Frédéric Cuvillier said that an emergency staff has been set up in Paris with the participation of government officials and the Main Civil Aviation Directorate. He added that the information about the number of passengers and their nationality was being collected.